Bell Helicopter is an industry-leading producer of commercial and military, manned and unmanned vertical-lift aircraft and the pioneer of the revolutionary tiltrotor aircraft. 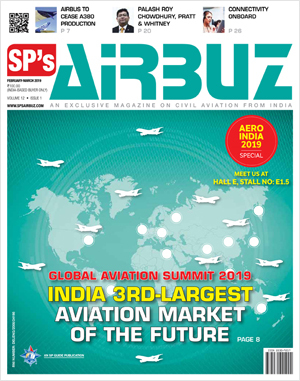 In an interview with Rohit Goel of SP’s AirBuz, the Managing Director of Bell Helicopters, Asia, Sameer A. Rehman talks about how the platforms fit the needs of Asia-Pacific. SP’s AirBuz (SP’s): How important is the Asia-Pacific market for Bell and what is your growth forecast for the region over the next three years? Sameer A. Rehman (Rehman): We maintain optimism for the Asia-Pacific market, despite a global softening of the commercial market — especially the medium helicopter market. Bell Helicopter has maintained a solid presence in the region for over 30 years, with an installed fleet of 1,000 plus helicopters (over 1,100 if you include China) serving every mission segment. We continue to seek out key certifications to enhance our ability to address customer needs. Recently, the Bell 505 Jet Ranger X type certification was accepted by the Australian Government’s Civil Aviation Safety Authority (CASA). We continue to see a lot of diversity throughout the region, with interest across every segment and every Bell Helicopter platform. We had quite a number of wins in recent years and anticipate more in the next year, Philippines Air Force 412s, Indonesian Police 429s, Indonesian Flight Calibration Department 429s, NSW Police 412Epi. SP’s: Which are the three biggest segments in the region? 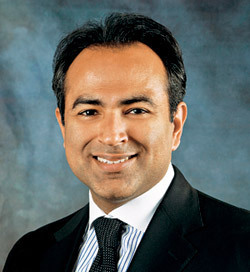 Rehman: We see fantastic upside for all of our products which have amazing flexibility. Our products are experiencing the greatest interest in HEMS, utility, and tourism. We continue to have steady interest from corporate and VIP operators — particularly for the 429 and 412 platforms. The Bell 412EP remains the most rugged and reliable medium helicopter on the market, chosen by the Philippine Department of National Defense and delivered two months ahead of schedule. HEMS orders have steadily increased over the last two years, but we will continue to have conversations and demonstrate our aircraft capabilities. SP’s: What products does Bell offer in these major market segments? With a speed of 125 knots (232 kmph), range of 340 nautical miles (629 km) and useful load of 1,500 pounds (680 kg), the Bell 505 is designed to be safe and easy to fly while providing significant value to the operator. The customer-driven design places safety, performance and affordability at the forefront, blending proven systems with advanced technology and a sleek, modern design. The Bell 412EP remains the most rugged and reliable medium helicopter on the market. Our Asia-Pacific demonstration tour of the Bell 429WLG received great customer feedback. SP’s: What are the organisational strengths and product USPs of Bell for the region? 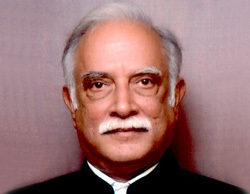 Rehman: It’s challenging to assign one key characteristic to a region as varied and diverse as Asia-Pacific. We focus directly on the customer and their mission requirements to ensure we deliver the right platform to fit our customers’ needs. Bell 412: This is the right platform for parapublic and utility operations. Bell 407GXP: The demo tour of Nepal of Bell 407 platform showcased its game-changing performance in the highest terrain, the Himalayan mountain ranges. Bell 505: The CASA validation saw a significant increase in orders. We saw strong conversion of letters of intent on the 505 and we see growth in the tourism and light utility sectors and increasing parapublic rotorcraft usage. SP’s: What is Bell doing to ensure the growth of helicopter MRO within the region? Rehman: The Bell Helicopter service centre in Singapore is a climate-controlled facility which supports new aircraft customisation and delivery in addition to maintenance, repair and overhaul. Bell Helicopter Asia offers customers a convenient location for new aircraft acceptance and maintenance training within the region. We continue to invest in customer support and service facility in Singapore. Currently, we have customer service engineers located in-region to serve our customer base, as well as 14 customer service facilities that support our regional customers. SP’s: Besides China and India, which are your major growth markets in Asia-Pacific? Rehman: We see great potential in the entire region for our wide variety of aircraft, but specific countries with the greatest demand at this point would be Thailand, Indonesia and the Philippines.